This post was originally appeared on The American Marketing Association's website on November 21st, 2017. 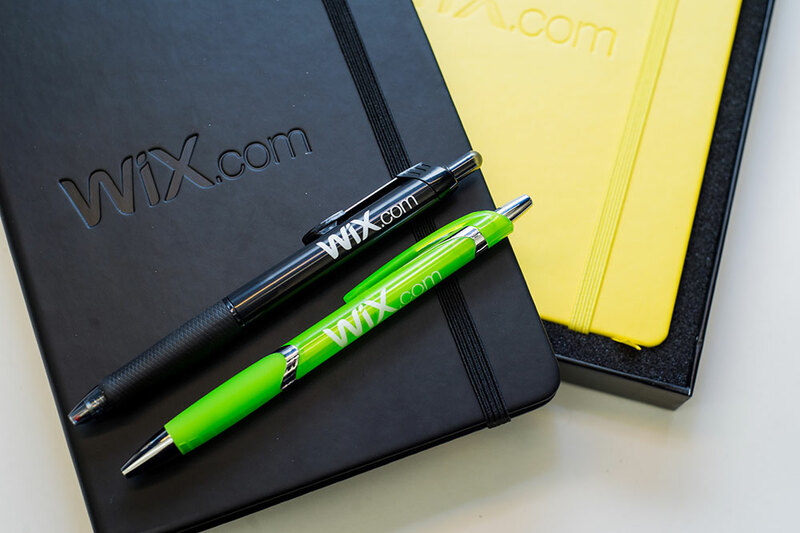 Did you know that adding promotional products into the mix of your marketing initiatives can increase the effectiveness of your brand by up to 44%? Using promotional products is a great way to break the ice with a potential customer, as they’ll be more likely to listen to what you have to say. If you can get their attention and keep it, you probably have the power to follow through with a sale. A study conducted by L.J. 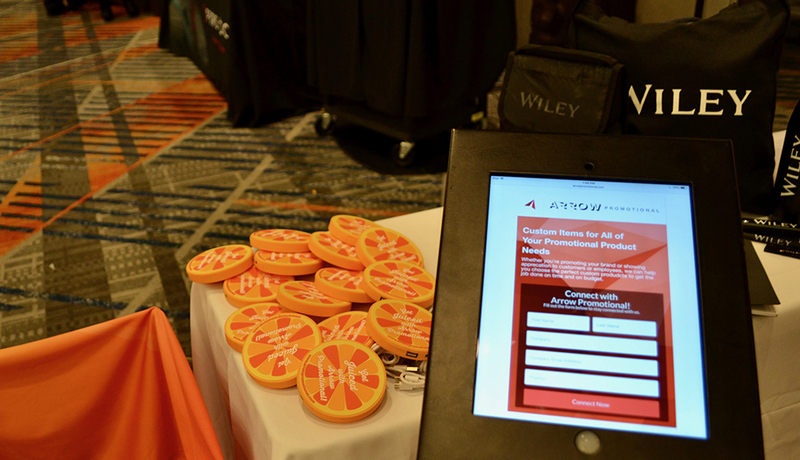 Market Research found that 52% of participants given a promotional item ultimately did business with that company. The power of statistics is real. However, to get the positive results you’re striving for, you will need to execute the process of choosing and distributing promotional products properly. You know who your current customers are, and hopefully you know who you are trying to target to become new customers. Whether it is a particular campaign, initiative or event, it is imperative to know your target audience before choosing your promotional products. If you provide your recipients with items they will actually be interested in, everyone wins! Your money goes to great use, you are gaining brand recognition and you’ll most likely see some ROI. Your recipients win because they receive a great, free product that they’re into. Let’s use VOSS, an artisan bottled water company from Norway, as an example. The target consumer of VOSS is young, active and sophisticated. 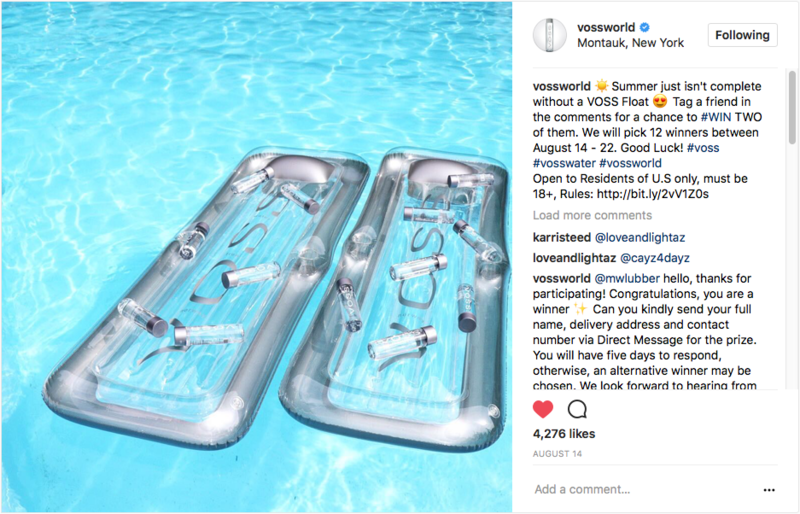 Keeping this in mind, Arrow Promotional Group designed and manufactured custom-made, branded pool floats for VOSS last summer, which were used in multiple giveaway campaigns. The decision to go with the floats was very well-received. The recipients loved them and the decision-makers are seeing the positive results. In social media alone, likes were in the thousands and the demand for these floats was high, proving that VOSS thought carefully and correctly about their target market. Determine exactly who should receive your swag, and how. Each campaign or event may have a different recipient list, and as we learned in the first “Do,” you must know who your audience is. But, more than that, how will these products be distributed, and how will they get to your target market? Once you figure out the best way to reach your recipients, make sure your promotional products fit the plan. For example, a bulky, branded piece of apparel, like a hooded sweatshirt, may not be a great idea for a trade show giveaway. People probably won’t want to carry it around all day and they might not have space in their luggage to bring it home. Giving this product to employees as an appreciation gift, however, makes much more sense. Another aspect of distribution you need to consider is how the products will be received. A real-world, large-scale example of this is from Fresenius, a medical device company. 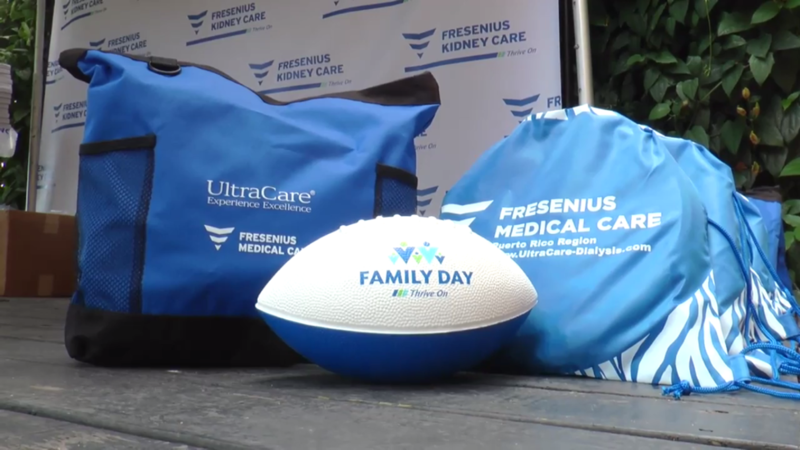 They were in need of promotional products for their Fresenius Family Day Events, dedicated to thanking their employees for their commitment, which were in multiple locations. Team members and their families took part in activities, games and fun and therefore needed supplies, accessories and decorations created with the Fresenius brand in mind. When it comes to large-scale projects like this, distribution options are key. In this case, Fresenius had about 2,500 locations, each needing more than 15 products for the high volume of expected attendees. Arrow Promotional Group was able to bundle the array of products and ship separately to each location to make distribution effortless for the recipients. By working out the logistics in the early stages, implementation was easy, the events were a success, and the employees and employer were happy. Usually you are not giving a product away just because. What’s your objective? For the recipient to visit your website? Or, is it to engage in your social media? Go one step beyond just giving something away, and incorporate a call to action with the product. Get something back in return. For example, Arrow Promotional did a self-promo campaign surrounding the 2016 Olympic Games with an interactive social media component. Recipients were sent a themed custom package of promotional products and were encouraged to incorporate them into a photo with the hashtag #ArrowChampions. This expanded their social media audience, created social engagement and led to some great user-generated content. A follow up social media campaign is a cool way to integrate your swag with another aspect of your marketing. One-color logo or full-color logo? Not every product has as many options. But the more you know about what you want, the better. If you don’t know, ask your sales or order representative to present you with a few good choices. It always helps if you provide approximate budget, estimated number of units and a time frame so that those options fit your needs. Be aware that these orders take time, as these products are customized to make your brand stand out. By planning ahead, you will make the best product decisions, allow the creative process to really flourish and have time to receive samples (as needed) without paying for rush delivery charges. 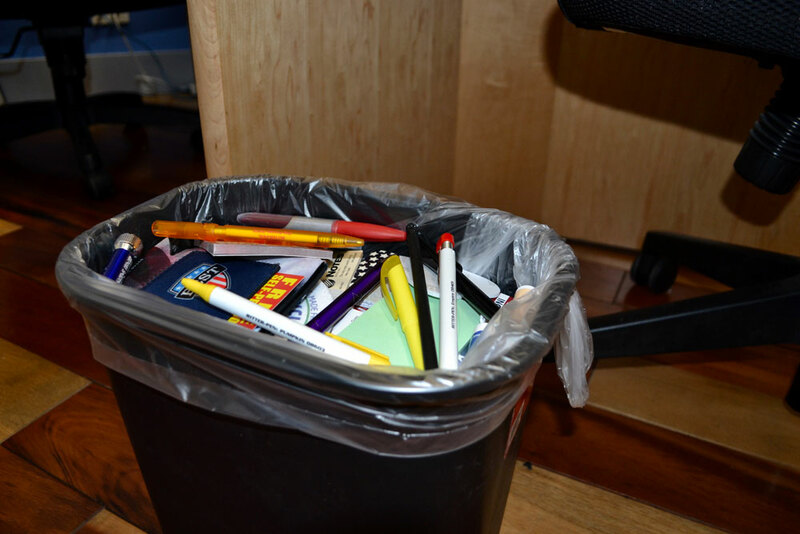 If you use items that people have already received a ton of, such as a stress ball or a cheap key chain, your product (and money) might just end up in the trash. If this is what happens to your giveaway, do not expect an effective impact. You can ensure your swag is held onto and remembered by making it useful, creative, high-quality and innovative. There are ways to make even simple products look sophisticated. Use guidance from your sales or order rep to help you make your items uniquely yours. Make sure your marketing campaign and the giving away of your promotional items is not overly complex. For example, if you are exchanging a promotional product for an e-mail address at a trade show, make the process simple with a business card drop or a quick form on an iPad. The more difficult you make the process, the harder meeting your objective will be. Promotional product marketing is a great way to enhance the marketing your company is already doing. It gets your brand out there, starts a conversation with potential customers and lasts longer than other forms of advertising. Statistics prove its effectiveness, and by using these tips to optimize your campaign, you’re more likely to increase your ROI. We know that choosing the best products for your brand, audience, message and budget can be a difficult task. Luckily, Arrow Promotional can conceive and execute promotional and marketing products designed precisely to your specifications and business needs. Let our creativity and experience work for you! Contact Arrow Promotional to get creative with your marketing! The American Marketing Association (AMA) is the essential community for marketers. No other organization provides more ways for marketers and academics to connect with the people and resources they need to be successful.